Opened in 1923, Chapman Elementary served the alfalfa farming communities and went through demographic changes over time. 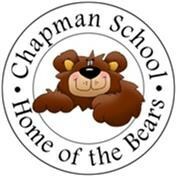 Today, Chapman Elementary continues the tradition of serving a multi-ethic population that enriches the educational experience of all students. Inspiring confidence in parents and the larger community that students are preparing to compete in a rapidly changing world. Teachers and administrators, with parent support, work together to provide students a rigorous, standards-based curriculum as a foundation for preparing them to be college-prepared and career-ready. Students understand what they are expected to know and be able to do through explicit instruction. Students gain confidence when they invest effort in their work and achieve success. Students treat each other with respect, are responsible and play safe.